Port Jackson Shark all lit up at Vivid. - Rod and Kate for convenient local dog walking. commented on "Its' a pretty harmless shark however other types of sharks may not be so generous around dogs taking a swim in the harbour or ocean. 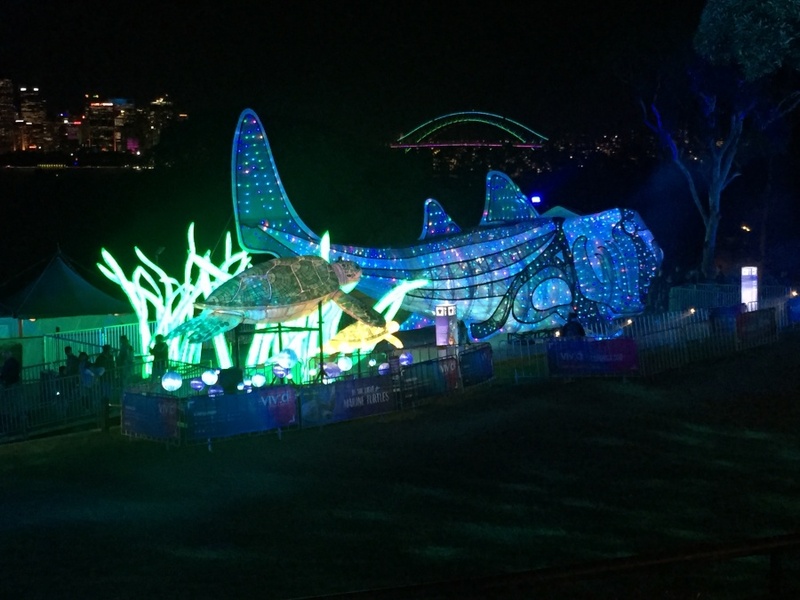 ..."
Port Jackson Shark all lit up at Vivid. Its' a pretty harmless shark however other types of sharks may not be so generous around dogs taking a swim in the harbour or ocean. Beware dogs splashing and barking in the water attract their attention and become shark's dinner on the occasional unlucky day or evening!